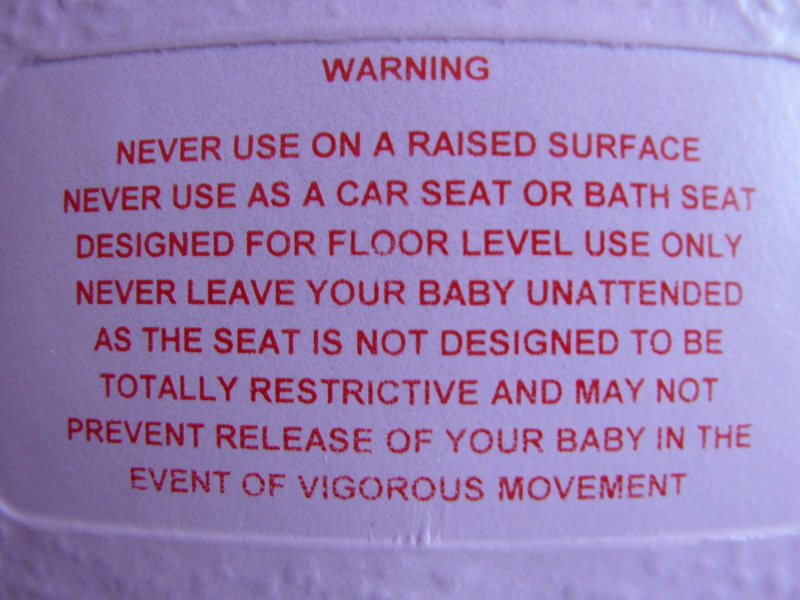 One of my co-workers pointed me to this ParentDish article Warnings emerge about Bumbo baby seat – ParentDish this morning. Apparently, there have been a number of cases where parents have put their children in a Bumbo chair on an elevated surface. Let’s stop for a moment here. Why would you put your child on an elevated surface without some form of mechanical restraint? Any child will fall from an elevated surface if they are not physically attached to the surface and given enough time. Similar text is also printed in multiple languages on a pamphlet that comes inside the box with the chair. Of course, baring common sense, what’s the first thing you have to do if you fail to heed warnings and your kid takes a bad fall? Well, you have to sue of course. There’s no possibility that the parent could be at fault, the manufacturer and retailers must have sold bad products that are unsafe. Sheesh, if that was the case, I should go sue a zipper maker because their zippers may pinch my skin if I don’t use them properly. Heck, just imagine the damage that could be caused by failing to use the zipper on your pants properly. A man could be rendered sterile! Sue the zipper company and all the retailers that sell pants! They sell bad, unsafe products! 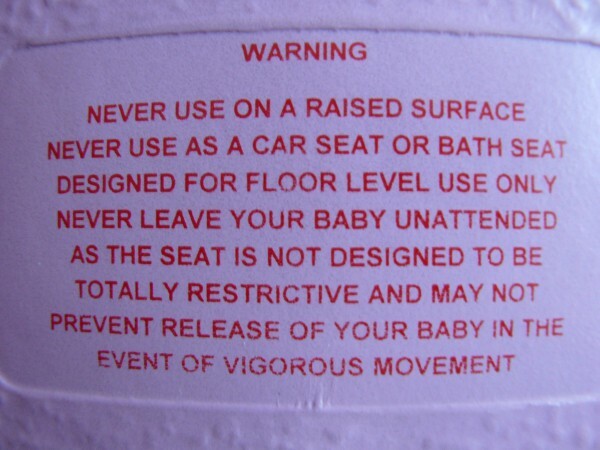 This entry was posted in Baby Stuff and tagged Bumbo, common sense, Stupid, unsafe products on 2007/09/24 by Jeff Ivany.